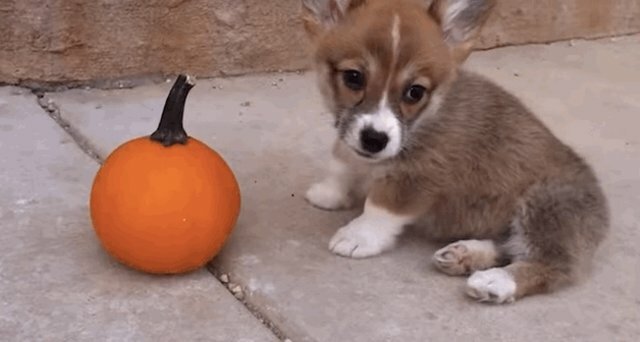 Maya the corgi isn't much bigger than her first fall pumpkin - but that's certainly not going to stop her from showing this suspicious squash who the boss is around here. 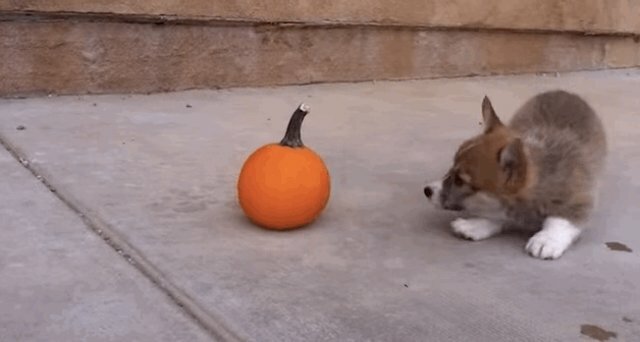 The tough little corgi sizes up the situation, attempting to intimidate the untrustworthy gourd with her impressive pouncing skills. Her human tries to give her a hand with the fiend, but Maya is having none of it. She's got this handled all on her own, thank you very much! 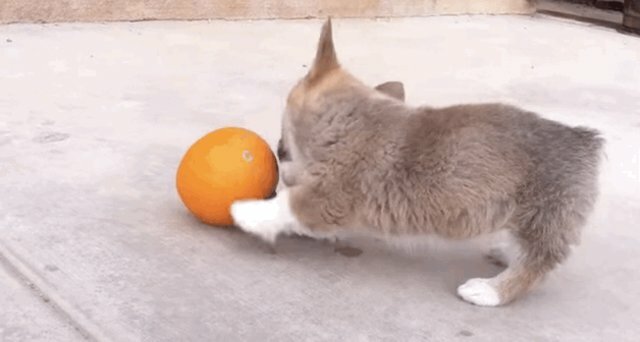 The pumpkin rolls away, presumably fleeing the scene in fear. 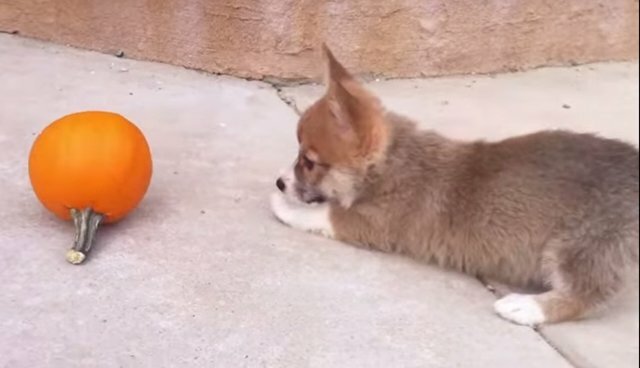 Maya takes a breather, allowing her a moment to consider if she's perhaps been too hard on the pumpkin. ... Buuut, the moment of self-reflection is short lived and it's back to throwing fisticuffs once more with this wily jack-o-lantern! 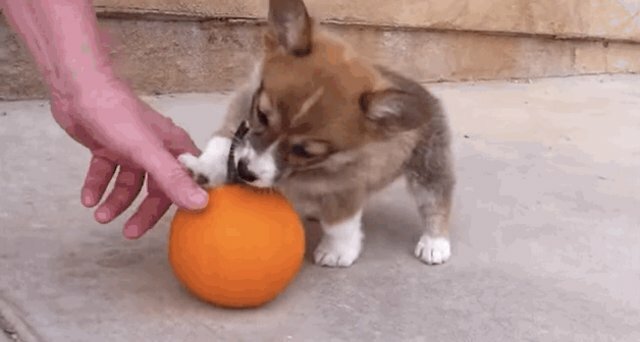 While your little pup may love to teeth on whatever they can get their canines on, always be sure to leave hazardous foods out of your dog's reach, especially during Halloween candy season!